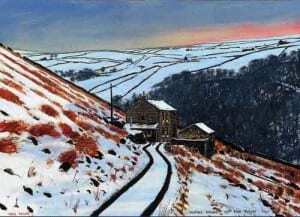 Peter Brook's distinctive snow scenes, deserted farmhouses, derelict mills and lonely valleys are symbols of a vanishing world, well known and loved far beyond his native Yorkshire. 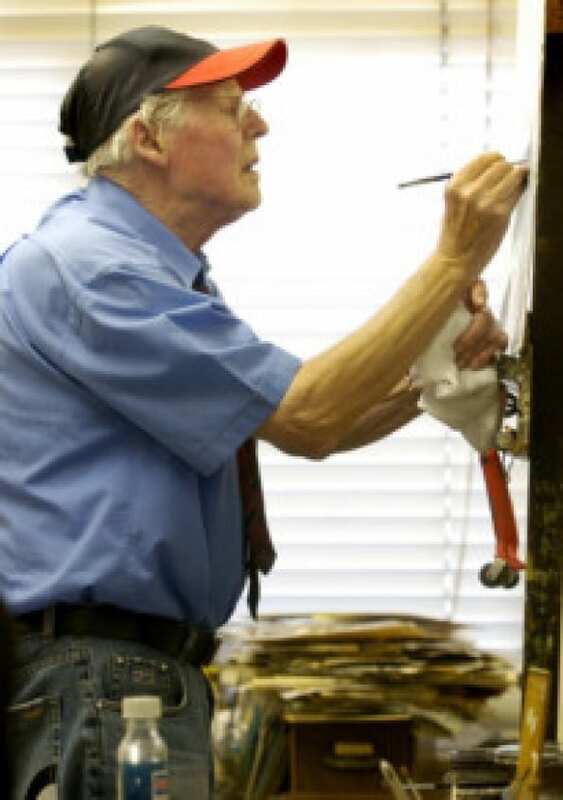 But Peter was far more than a regional painter, his sharp, discerning eye; idiosyncratic humour and imaginative empathy enable him to capture the essence of a landscape. He evoked the poetry of the mundane: Ordinary people, ordinary buildings and ordinary animals are given extraordinary impact by brilliant observation and distinctive artistic judgment.